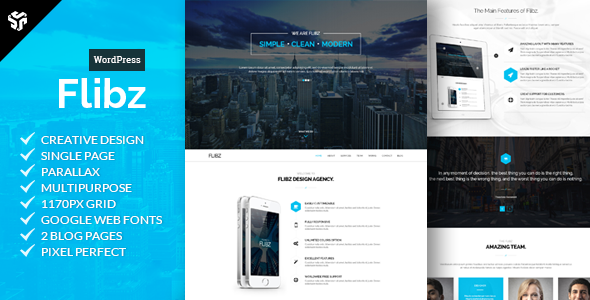 Flibz is an amazing Responsive One Page Multi-Purpose Parallax WordPress Theme. This Theme is Suited for any type of website, personal or business use. Start using Flibz today and make your website more amazing then anyone else. With great features you have everything you need to get your website landing page up and running with a professional touch in minutes! Just to make you life easier, Flibz comes with complete documentation and life-time free Updates! so what are you waiting for?